Patrick Béliard Delbrey is a sophomore at Tufts University studying International Relations and Community Health. His interests encompass the many contradictions, conflicts, and complexities of the international system, as well as the variegated ways in which humanity can express itself across the globe. He’s driven by an overwhelming impetus to learn about the differences in culture and ideals that can be seen throughout the world. As a Puerto Rican, he has always been interested in exploring the nominal topics that press the island’s institutions. From massive natural disasters to the relationship the island shares with the US, Patrick is constantly seeking to understand how the Puerto Rican reality has shaped the island’s patterns of public health and emigration. 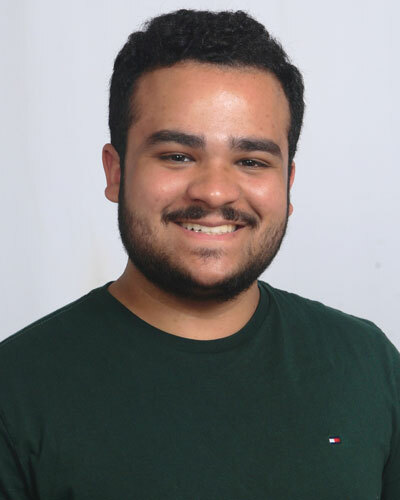 He is a co-founder of Jumbo Hurricane Relief, which is an organization on campus that worked to raise funds and awareness on the disasters of Hurricane María and the island’s recuperation efforts. Mrugank is a sophomore at Tufts from Mumbai, India. He is studying the classic Jumbo combination of International Relations and Quantitative Economics and is also a Laidlaw Scholar. Through this year’s program, he is attempting to not only understand the dynamics of migration, but also reconcile his own experiences from India as a "Mumbai boy” who cherished the ordered chaos of the streets and from the USA where he still finds it strange to encounter American flags on nearly every city block. His interest in this year’s topic stems from his two years at United World College in India. Here he shared a campus with refugees, internally displaced persons and migrants among others. The heated late-night debates regarding state obligations towards migrants and their implications have had a deep impact on his own academic interests. Besides his majors, his passions lie in philosophy and urban studies. Outside of class, he is often seen playing (fantasy) soccer, watching stand-up comedy and trying to learn how to swim. Hailing from Somerville, New Jersey, Josh is a sophomore at Tufts University who studies International Relations. He has been interested in global affairs from a young age, watching Athenian Olympics broadcasts and starting his flag collection in 2004. Despite having lived in the same town for his entire childhood, Josh loves to travel and experience new places. In 2014, he went on a mission trip to Nairobi, Kenya with the Foundation for Peace, and he plans to study abroad in Paris next year to deepen his study of French. On Tufts’ campus, Josh is involved with Model United Nations and with a number of musical groups, in which he plays the alto saxophone. Last summer, he worked for Environment New Jersey, campaigning for more stringent policies against single-use plastics. In taking EPIIC this year, Josh seeks to better understand the global complexities of international migration, particularly in the Middle East and North Africa region. Connor Doyle is a sophomore International Relations major. He is on the varsity swim team and his hobbies include watching European soccer, chatting with my friends in the dining hall, and golfing occasionally. His academic interests span from language to political science, history, and economics. Zac Goldberg is a sophomore majoring in Quantitative Economics. He grew up in Italy, Switzerland, and Miami and holds both US and Swiss citizenship. He enjoys skiing, scuba diving, and playing soccer with his friends and is interested in going into finance after graduation. He is extremely excited for this year's EPIIC class and cannot wait to become an expert on migration. Gabe Haddad is a senior at Tufts from Brooklyn, New York. He is majoring in International Relations and minoring in Chinese. On campus, Gabe is captain of the Club Water Polo team and is involved with the student-run radio station, WMFO. He spent his past semester studying in Shanghai, China and stayed in the country over the summer interning at a Chinese electric scooter company. On top of that, he has done work in gun violence prevention and has spent eight summers completing and guiding canoe trips of up to seven weeks in length in the Canadian wilderness. Gabe observed first-hand the dynamics of domestic migration in China and hopes to expand those insights to an international scale in this year’s EPIIC program. The course sparked his interest due in part to the work his mother has done in refugee camps in Greece, and Gabe hopes to use some of that background knowledge in the course this year. Carlos Irisarri is a sophomore at Tufts University currently trying to triple major in History, Philosophy and Political Science. This is his second year in EPIIC, and he has decided to take the class again because last year’s EPIIC was truly one of the most incredible experiences in his life. Carlos was born in France but moved to Panama at the age of ten to reconnect with his mother’s family. He has always been fascinated by politics, mostly due to the dinnertime conversations that he would have with his father almost every night. Apart from his academic interests, Carlos works for Cohen Theater as a light technician, he is part of the Tuft University Debate Team, he works on the secretariat of Tufts Model United Nations and plays basketball (although admits he isn’t very good at it). Migration and its effects are topics that Carlos believes governments have not addressed enough. Long term solutions to reconcile the undebatable benefits of migration with the strong challenges it poses will have to be debated and agreed upon. Carlos hopes to use this class to solidify his stance on the topic and perhaps come up with a few suggestions on how to deal with the topic on a national/global scale. Nicci Mattey is a freshman at Tufts who intends to major in International Relations and Political Science. 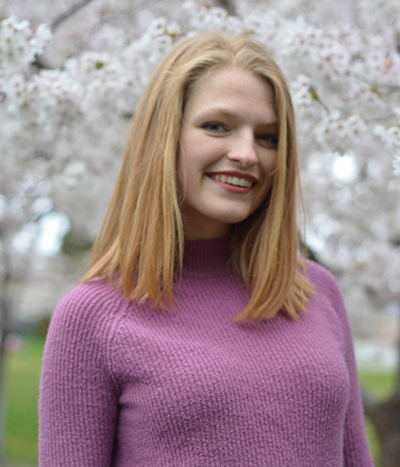 She is from San Antonio, Texas but has also lived in Seattle, Washington and Washington, D.C. Nicci plans to join the Tufts Mock Trial and Model United Nations teams, write for the Literary Magazine, and, hopefully, find time to cook Thai food. For the past two summers, Nicci has interned with the Center for Refugee Services in San Antonio, where she worked with recent refugee arrivals from Syria, Afghanistan, and Myanmar. She has also worked with the Refugee and Immigrant Center for Education and Legal Services (RAICES) which predominantly serves Mexican migrants. Through her work with these two organizations, Nicci has developed a deep passion for advocacy, service, and education, which drew her to this year’s EPIIC Colloquium. She looks forward to learning more about the forces behind migration and hopes to apply the knowledge she gains by serving the migrant community in her home state and Boston. 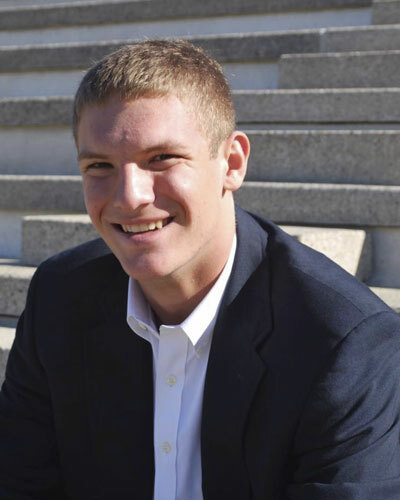 Benjamin MacLean is a sophomore at Tufts University studying economics. Though he grew up in Maine, he currently resides in Exeter, New Hampshire. Benjamin graduated from Phillips Exeter Academy in 2016 before attending Colby College that fall for his freshman year. The following summer, he scouted for the Baltimore Orioles on Cape Cod. 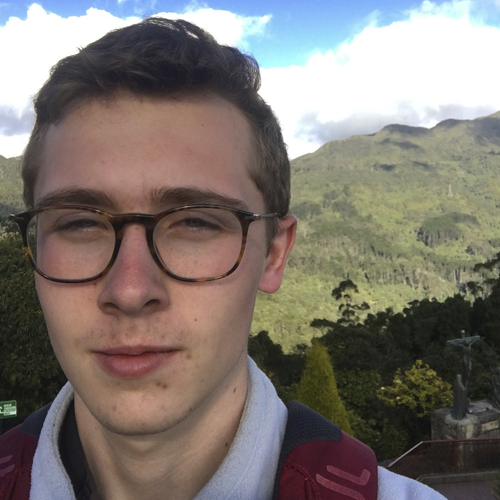 Instead of returning to Colby, Benjamin spent the fall studying in the Dominican Republic, where he learned Spanish and continued to scout for the Orioles. During the winter, he returned home and worked as a substitute teacher. This spring and summer, Benjamin interned with the Orioles at one of their minor league affiliates. After fifteen months away from school, Benjamin transferred to Tufts, where he is eager to return to academia. Through EPIIC, he is looking forward to learning about migration in the current global environment and what challenges it may pose for the future. At Tufts, Benjamin intends on participating in the Baseball Analysis at Tufts club and writing for The Tufts Daily. 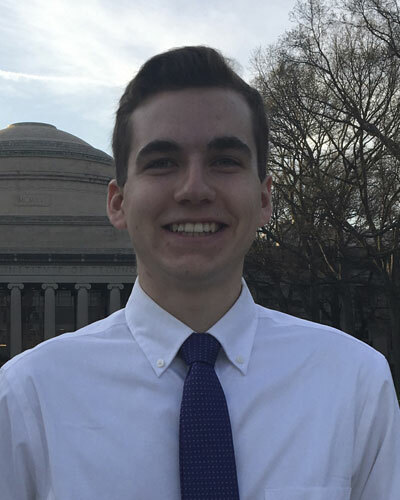 Patrick Milewski is a freshman currently attending Tufts University, intending on double majoring in Economics and International Relations with a minor in Russian. Born in Boston and raised in a small Massachusetts cranberry town that cherishes the name Hanson, he attended Whitman-Hanson Regional High School. With both parents being immigrants from Eastern Europe, who had left Poland after the collapse of the Soviet Union, Patrick is able to enjoy dual citizenship inf the United States and Poland. An active member in the Polish Roman Catholic Community, he was able to both experience American and Polish culture, and he is fluent in Polish. With a strong admiration of history and economics (which he expressed through his hobby of numismatics), and a great respect for those that choose to migrate to a foreign environment to further their opportunities, Patrick finds himself quite fortunate to partake in this year’s EPIIC colloquium. 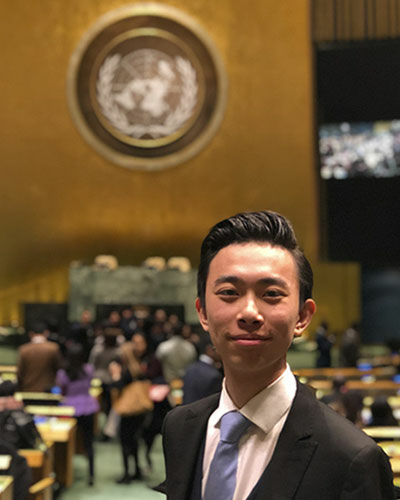 Passionate about international politics—which he was able to practice through high school Model United Nations—Patrick intends on joining the Peace Corps after graduation and ultimately becoming a diplomat under the Foreign Service. He is especially interested in being involved in Eastern and Central Europe. 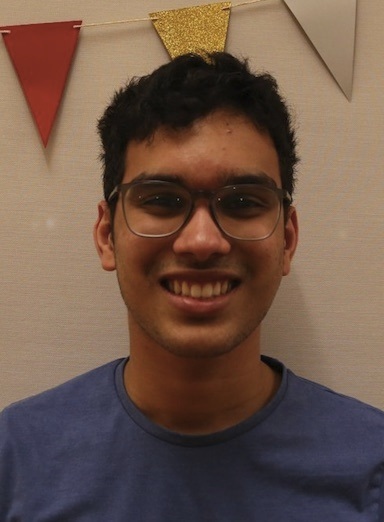 Arjun Padalkar is a sophomore from Mumbai, India double majoring in quantitative economics and international relations, specializing in security. His interest in economics, politics, development theories and diplomacy began when he attended an economic globalization course at Columbia University in the summer of 2015. He then interned at a microfinance company based in the Mumbai slums and conducted research correlating microfinance to targeted economic development. Simultaneously, he worked on a global politics project for his diploma where he conducted research on the Rohingya refugee crisis as part of his broader project on border security. In the final year of his high school diploma, he co-chaired a committee on economic diversification of single industry cities. 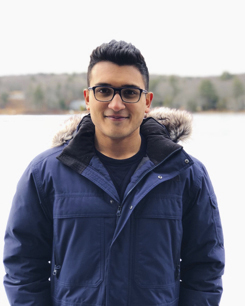 In the summer of 2018, Arjun interned as an analyst in a non-banking financial company specializing in sub-prime lending. There, he used different variables such as age, income, living condition, and debt-burden ratio to determine a customers’ credit-worthiness. 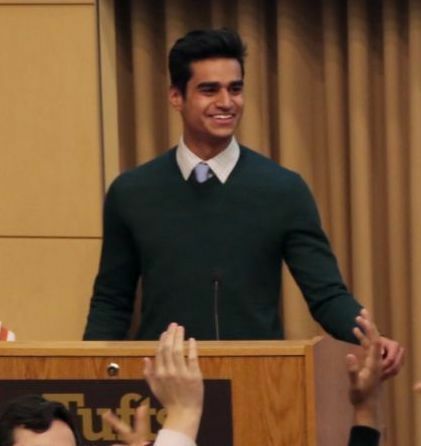 In his sophomore year, Arjun hopes to be part of the Tufts Financial Group, Tufts ALLIES, and a consulting group. Besides economics and politics, Arjun is passionate about food, cooking, and European football. 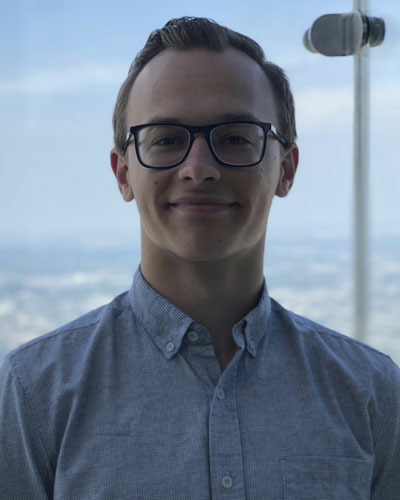 Guillaume Pailhoux is a sophomore at Tufts University from Paris, France. He is pursuing a double major in International Relations and Economics. Guillaume spent most of his childhood in France except for four years of his early adolescence, which he spent living in Minnesota, USA. Following his return to Paris, he enrolled in a bilingual high school where he obtained an International Baccalaureate diploma. Due to his inherited interest in traveling, Guillaume has visited over 30 countries, which has strengthened his belief in the value of international institutions and cooperation. 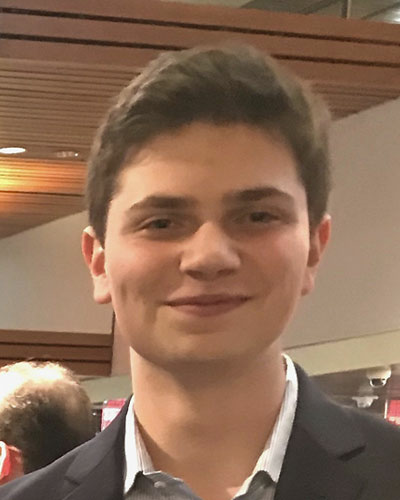 During his freshman year, he was involved in Tufts’ European Students Association, helping instill greater opportunities for students to discuss the intricacies of the European continent. 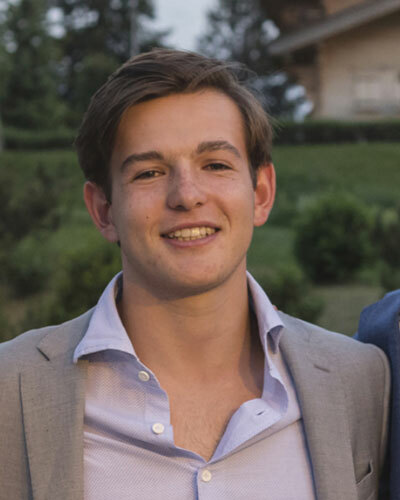 Guillaume believes that this year’s EPIIC class will help him further his understanding of the integration of human rights within policymaking, the rise of populism, and the future of the European Union. In the future, he hopes to utilize his experiences to work on transatlantic affairs, policymaking, and international institutions. Madison is a sophomore at Tufts from Salt Lake City, Utah. She is pursuing a major in International Relations with a concentration in Globalization, as well as a minor in Food Systems & Nutrition. She spent the last year living, volunteering, and learning languages in Romania and China. Madison believes EPIIC provides a wonderfully unique opportunity to explore migration from all angles and looks forward to exploring this year's topic with her classmates. 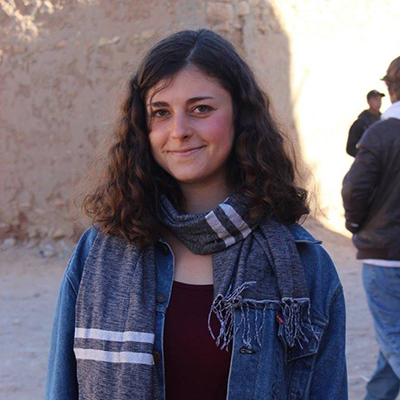 Isabel is a sophomore at Tufts University pursuing a double major in Middle Eastern Studies and Anthropology. Born and raised in Brooklyn, NY, she is also a British citizen and speaks Spanish fluently. 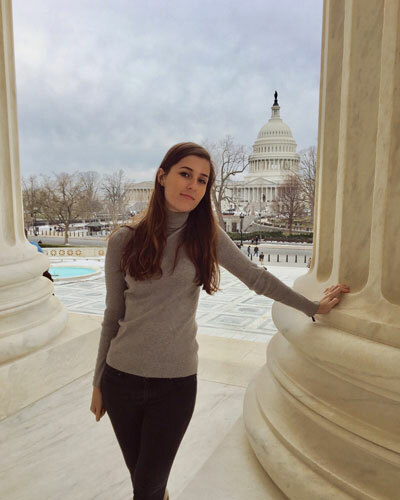 Before starting at Tufts, she spent nine months living in Rabat, Morocco thanks to a scholarship from the U.S. Department of State, where she studied Arabic and conducted research on the impact of Morocco’s introduction of a legal migration policy in 2013. Her interest in migration and migrant communities began with a high school internship working with street vendors in NYC, and developed through volunteer work with migrant aid groups in Athens and Rabat. At Tufts, she is the podcast editor for the Observer magazine and a peer Arabic tutor. Through EPIIC, she hopes to gain a greater understanding of global migration patterns and the various cultural and political factors shaping migrant communities throughout the world. Maycon is a freshman from Brazil intending on double-majoring in International Relations and Economics. 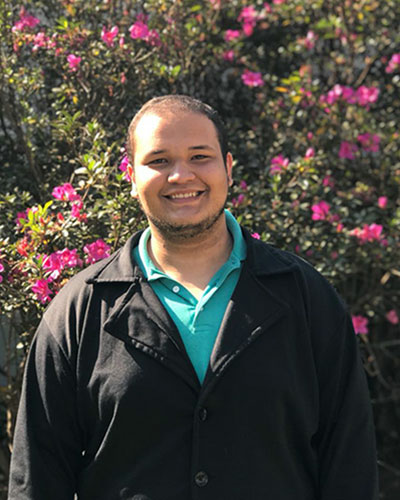 He works closely on the promotion of LGBTQ+ rights in Brazil and has recently created the Brazil4Education, a project that offers free programming and 3D modelling classes to LGBTQ+ students from the Brazilian public educational system. During high school, he engaged in programs promoted by the U.S Department of State, such as the English Immersion and the Opportunity Funds and became interested in foreign service. Maycon argues that the decision-making process regarding international policies must be guided, above all, by humanitarian values and believes in the power of anonymous local-level initiatives to solve global challenges. Uzair Sattar is a returning EPIIC Alum, this time as a sophomore. Born in Islamabad, Pakistan, he is planning on majoring in International Relations with a concentration in the Middle East and South Asia. Uzair took a gap year after high school to explore possible careers in either law or economics. He worked at a corporate law firm and microfinance bank in an attempt to discover where his passions lie. Uzair ultimately chose law and aspires to specialize in water law in the future. At Tufts, Uzair is the Vice-President of the International Club and a member of HYPE! Mimez – the nation’s only collegiate mime troupe. He is also a columnist for SouthAsia Magazine where he writes on various facets of Pakistan’s water crisis. In his spare time, Uzair enjoys biking and playing cricket. 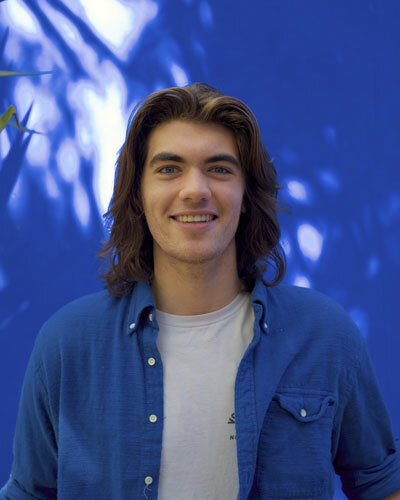 Liam Thomas is a first-year student at Tufts from New York City. He intends to pursue a double major in International Relations and Quantitative Economics. 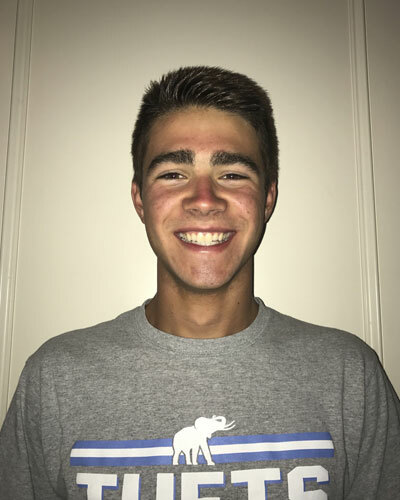 Liam spent his high school summers as a City Council political intern, as a left-handed pitcher for various travel baseball teams, and as a participant on a New York Times trip to Colombia to study the country's civil war. During his education at The Beacon School, he was a member of the varsity baseball team and Model United Nations club. He is enthralled by contemporary economic debates over globalization and automation, and he also enjoys reading about urban planning, the history of capitalism, and the development of economic thought. Liam plans on joining the Economics Society, Mountain Club, and perhaps the Ultimate Frisbee C-team at Tufts. He is eager to immerse himself in the theory and practice of migration studies over the course of EPIIC this year. Lomax Turner is a sophomore at Tufts University from San Francisco, California. He is undecided with his major, but leaning towards International Relations and Russian. Growing up in the self-centered American education system, he has a very American-centric view on how the world works; he hopes to change his perspective through education, specifically, the EPIIC class. Migration is a special topic to Lomax because of his crazy family history involving a prison escape, stolen identities, a spy, and a stroll through Europe during World War Two. Despite being culturally Russian, his grandfather was born in China and grew up in Brazil, while his grandmother was born in Italy and grew up in Argentina. Because of his complex roots, he has many interests regarding identity and culture. 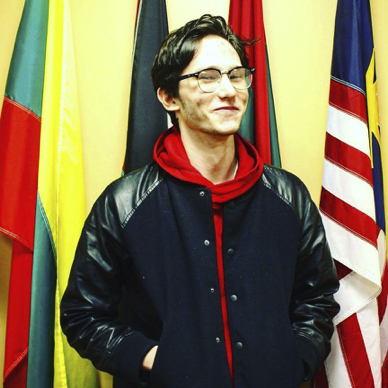 He has a passion for studying the dynamic and history between white people and people of color, participating in the LGBT+ movement, advocating for undocumented students on campus through the UIJ club (Tufts United for Immigrant Justice), and getting to know people and ideas from cultures other than his own. 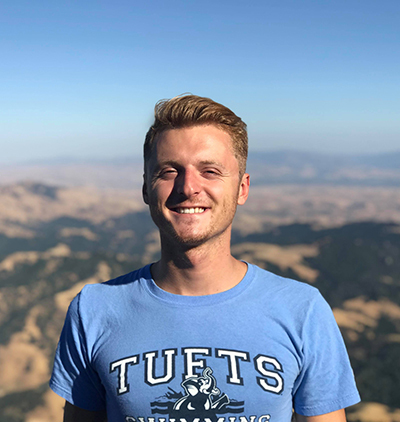 In addition, he is a varsity athlete on the Tufts Swimming and Diving team, plays piano recreationally, and lives in the LGBT community center on campus (Rainbow House). He also likes making friends and hugs. Shaobo is a sophomore from Beijing, China, studying International Relations. He speaks Chinese and English and is currently learning French at Tufts. Shaobo is passionate about a wide range of global issues from forced migration to criminal justice to social inequality to climate change. His main academic interest is centered around the contemporary refugee crisis, the rise of far-right nationalism and its impact on the migration crisis and globalization in general. In his last semester in high school, Shaobo participated in an experiential learning class on "Middle East Refugee Crisis" and visited Palestinian and Syrian refugee camps in Jordan and built connections with some of the refugees on a personal level. Concerned with the hatred against migrants in a more radicalized world, Shaobo hopes to learn more holistically about refugee resettlement processes and look for strategies to better refugee inclusion and bring people together through this year's EPIIC colloquium.